January 16, 2018 (PowerHomebiz.net)There are a lot of businesses and personal websites now run on Joomla, which is a highly user-friendly, secured, and easy-to-build CMS for web development. Even though there are some built-in features in Joomla to help in search engine optimization, to be on top continual optimization and SEO fine-tuning is needed to enjoy the desired results. Here, we will discuss the critical tips one should know while administering a Joomla website to ensure maximum reach and gain more organic traffic. Why are constant SEO efforts needed? Before getting into discussing the tips, let’s first understand why SEO is essential. Here are some points. –	Marketers know by now that SEO leads do have a better close rate compared to other outbound leads through print ads, and emails. –	A latest 2017 research shows that only about 29% of the website users now try to input a domain name directly into the browser address bar. More than 60 percent just access a website from the organic search engine results. –	More than 80% of the search engine users (Google, Bing) don’t go past the first page of search results. One of the primary considerations of search engines in terms of ranking a site is its page loading speed. The modern day internet users are also not so patient to wait unendingly for your page to load. In each two second delay in page loading time, the bounce rate increase by about 20 to 30%. There are plenty of ways to speed up websites like using Joomla cache. When a user tries to access a website, Joomla work by fetching the content of the webpage from the database and loads the page components in minimum possible time to the user. If there are many different elements, then the process may take a few seconds to execute. This process is required only for the first time, and the users need not have to wait for it later if you have used the feature of Joomla cache in your blueprint SEO strategy. The one thing which can profoundly adversely affect the performance of your Joomla site is frequent 404 errors. Google bots hate to see 404 errors as these are the significant reasons for frustration to the users. However, it may be somewhat tricky to completed eradicate 404 errors but can try to create a more pleasing and engaging 404 page, which also will help the users to locate the actual information they seek for. Joomla web-building templates have built-in 404 pages, but you can review them and customize it to add more value to your website. The primary benefit of Joomla CMS is that you can find friendly plugins to achieve anything, and you can see many such handy plug-ins for SEO too. When you are trying to do search engine optimization of your site, these plug-ins can help you to assess your website to find the weak spots, search engine vulnerabilities which you may have missed out. With such an insightful guidance, you can quickly patch them and let the site perform better. There are plenty of options offered by these plug-ins to add SEO value to your site. Keyword research and keyword-centric content management are essential in terms of SEO, which has to be done for Joomla sites too. You cannot use key phrases and also synonyms of your generic keywords to add search engine value. You can get keyword hints from the SEO plug-ins as well as the web analytics tools as offered by Google keyword planner. Developing a site to be search engine-friendly is not enough, but web hosting plays a vital role in the performance of your site. So, it is essential to host your website in a fast and reliable hosting service to ensure speed and maximum up-time. There are many cheap hosting options, which don’t guarantee service quality. So, do your research to identify the most appropriate hosting services which are reliable, fast, and also Joomla friendly. Above all these, Joomla lends a lot of tips by itself in on-page SEO. 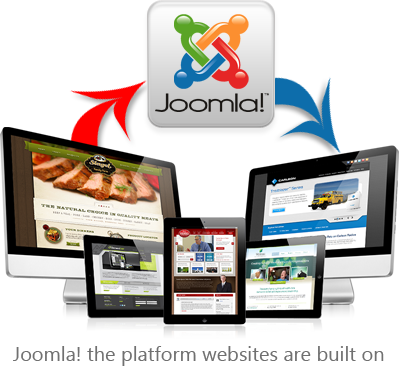 Joomla can organize the content of your website into different categories and appropriate sub-categories. You also need to work on link building as well as off-page optimization techniques too to get optimum benefit of SEO on your Joomla website. Derek Iwasiuk is a successful entrepreneur and founded one of the significant business corporate in social media marketing named Due. 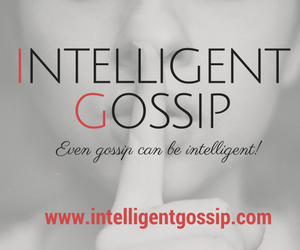 He is also a business genius and used to provide blueprint SEO strategy to corporate.